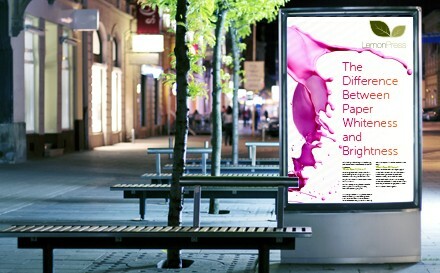 A poster can be a great attention grabber and an effective way to advertise an event, product launch or special offer. While you do not need to be a design extraordinaire to create an effective poster design, there are a few key principles to help ensure your design achieves the maximum impact and has the desired effect. Let’s take a look at the principles of effective poster design. Less is definitely more when it comes to poster design, keep it clear and concise rather than trying to cram so much information onto the poster that people will not want to read it. Use images or graphics to help communicate the message you want to get across; think about movie posters and how they attract people’s attention, they don’t go into great detail about the plot, they simply generate interest in the film. Your poster should be just enough to draw potential customers in so you can give them more information through conversation or via your website. When it comes to poster design, it is good practice for the headline to be readable from some distance away, in order to grab the interest of people. A good readable distance for a large A1 or A0 poster would be four to six feet and for a small A4 to A2 poster it’s one to two feet. Using a large font for the headline text will make it jump off the page, also consider using contrasting colours for the background of the poster and the text colour to make the poster easier to read. Make your design bold but not your text, using bold for a large amount of text can have the opposite effect and make it harder to read and more taxing on the reader’s eyes. Instead use bold text for key pieces of information such as times, dates or places. When designing your poster, you will need to consider elements such as the headline, logo, body and images, it is good practice to start from the top left, laying out your sections in order and in the way our eyes naturally want to scan. Your poster should be easy to follow and with a natural flow. Ensure that readers know who you are and how to contact you with consistent branding and clearly displayed contact information.